(David Zalubowski/AP) Teachers carry placards as they walk a picket line outside South High School,, Feb. 11, 2019, in Denver. The strike on Monday is the first for teachers in Colorado in 25 years after failed negotiations with the school district over base pay. I'm anxious, scared, but I'm also angry and I think a lot of us are angry. We have had enough. "There aren't a lot of kids left in the building," she said of the student walkout at East High School "Certainly, a lot of commotion started when students decided to walk out." 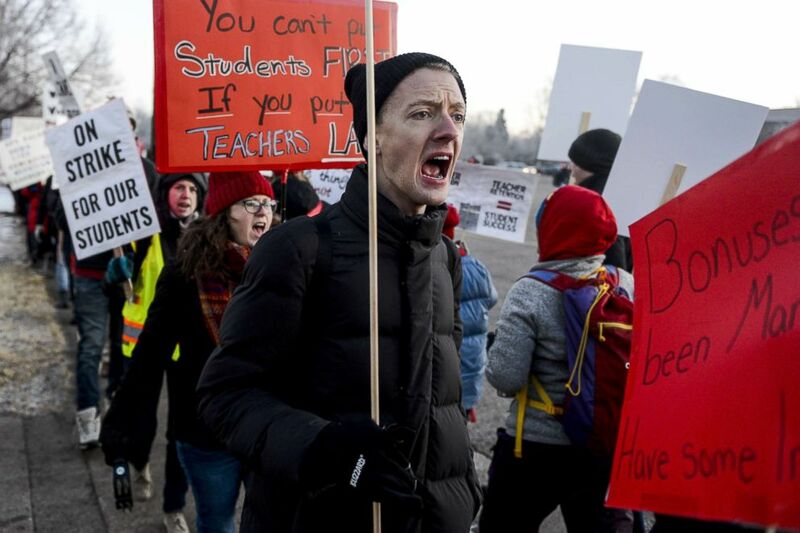 (Michael Ciaglo/Getty Images) Denver Public Schools teachers and members of the community picket outside South High School, Feb. 11, 2019, in Denver. 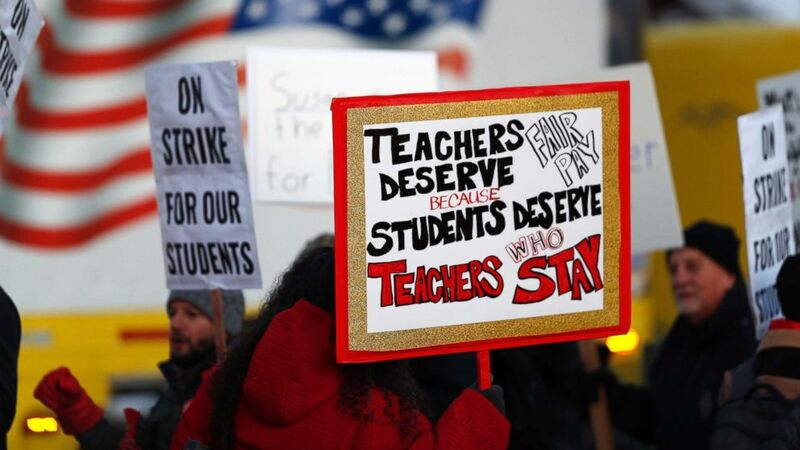 Denver teachers are striking for the first time in 25 years after the school district and the union representing the educators failed to reach an agreement after 14 months of contract negations over teacher pay. Over the next two years, we'll be cutting $20 million out of the central office to help pay for this proposal that we're working on for our teachers as well as the needs that we know for our bus drivers, people who are cleaning our buildings, and cafeteria workers.